The final part of the competition will be a real show that will be interesting not only to the participants but also to the fans, as it will be accompanied by a DJ and a professional announcer. Saturday, June 23, 2018 - arrival of teams, weigh-ins. Let us wish the participants of the tournament spectacular duels without injuries and let the strongest win! Ilya Izman: Rustam Babayev - Tim Bresnan. Or the opposition of two rocks? Vladimir Butucea: Denis Tsyplenkov motivated me! 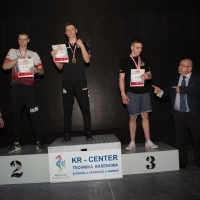 Evolution of "Zloty Tur" Professional World Cup: Breakthrough to a new level in 2018.